ALEXANDRIA, VA--(Marketwired - May 06, 2014) - With a shared commitment to giving back and making a difference, National PTA® and Schwan's Home Service. Inc., through its Schwan's Cares™ Fundraising Network, have joined forces to offer a new fundraising opportunity for PTAs across the country. To celebrate the parents and teachers working hard to positively impact families, schools and communities, Schwan's Home Service also is offering a special new-customer discount to individual PTA members. 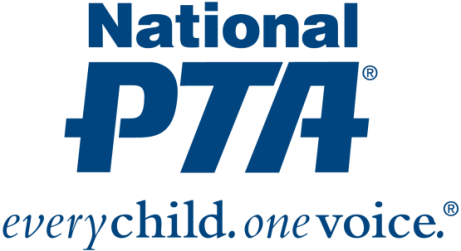 "Across the country, PTAs are a powerful voice for children, a relevant resource for families and communities, and a strong advocate for public education," said Otha Thornton, president of National PTA. "We are pleased to join forces with Schwan's Home Service in using their Schwan's Cares™ Fundraising Network to support PTAs in raising funds that help schools improve; communities grow and prosper; and make a difference for education, health and welfare of all children." For more than 60 years, Schwan's Home Service has been delivering more than 350 high-quality frozen foods right to families' doors. In addition to making it easier for families to create delicious home-style meals, Schwan's Home Service, through the Schwan's Cares™ Fundraising Network, helps schools, sports teams and other community groups raise funds via an online platform that allows consumers to donate money by simply ordering from Schwans.com. Contribute between 20 and 40 percent of each total purchase to the buyer's preferred local PTA for all purchases made through a PTA campaign on the Schwan's Cares™ Fundraising Network. Additionally, after the initial campaign period, PTAs can earn 5 percent on purchases for up to one year. Coordinate the processing and fulfillment of all purchases made through a PTA campaign, delivering food orders directly to campaign supporters' homes. Offer PTA members a new-customer discount of $5 off $25 or $10 off $50 on their first Schwan's® purchase. Offer $25 off $75 on any PTA member's first purchase during the month of May. "We are honored to be working with National PTA and to have the opportunity to bring seamless and hands-free fundraising to parents and teachers across the country," said Jason Von Bank, managing director of Schwan's Cares™ Fundraising Network. "Together, we can raise awareness and money for great causes within PTA throughout the entire year." For more information about the fundraising opportunities and discounts available to PTA members through Schwan's Home Service, visit PTA.org/benefits. About the Schwan's Cares™ Program & Schwan's Home Service, Inc. The Schwan's Cares™ program is offered by Schwan's Home Service in communities nationwide with the purpose of supporting thousands of teams, communities and causes. In addition to National PTA, its partners include USA Hockey and its more than 1 million members, the National Sports Center and its signature global youth soccer event, Schwan's USA Cup and the Minnesota Wild of the National Hockey League (NHL).